Here’s a quick wrap up of the jQuery, ASP.NET, Silverlight, LINQ and other .NET articles published on http://www.devcurry.com/ in the month of February 2011. 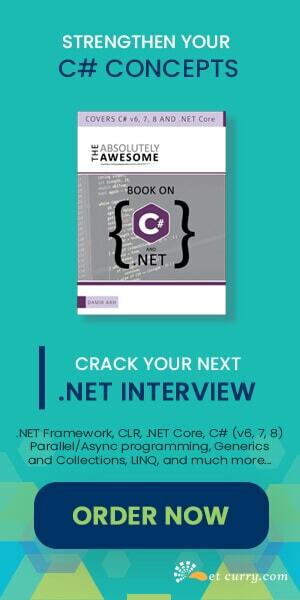 Cancel Update and Delete in ASP.NET GridView - Continuing my ASP.NET GridView Tips and Tricks series, this post shows how to cancel the Update and Delete operation in an ASP.NET GridView. Register Script into Page Header from ASP.NET Content Page - A reader Simone mailed me asking if it was possible to register the script into <head> portion of the page. Avoid DataBinder.Eval in ASP.NET and improve Performance - I see a lot of developers using DataBinder.Eval, which evaluates data-binding expressions at run time. Although the DataBinder.Eval is quite frequently used in web controls like the GridView, Repeater etc, use it with caution. jQuery: Find Text and Highlight Elements - Let us see how to use jQuery to find/search a piece of text and highlight elements if that text is present in them. 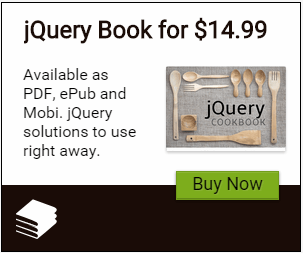 jQuery 1.5 Released: What’s New - The jQuery team has released jQuery version 1.5, right on schedule! This release includes several performance improvements, bug fixes, major re-write of the Ajax module with extensibility improvements, a Deferred callback management system and much more. Silverlight: Add a CheckBox to a TreeView and Handle Events - Let us see how to add controls like the CheckBox to a TreeView. Silverlight 4: List Audio and Video Devices - In this post, we will see how to use Silverlight to list the available audio and video devices on your system. We will list this information into separate ComboBoxes. Important .NET Framework 4.0 Command Line Tools You Must Know - Here’s a list of important command line tools in the .NET Framework 4.0 which can be run using the Visual Studio Command Prompt. LINQ: Query Comma Separated Value (CSV) files - In this post, we will read a Comma Separated Value (CSV) file using LINQ and perform some calculations on the data. Get IP Address from Domain Name and Vice versa using .NET - Let us see how to get an IP address of a domain. We will also see how to get a DNS name if we supply the IP address. Visual Studio: Remove Unused References and Assemblies from your Project - When you create a default project in Visual Studio, there are a couple of references and assemblies that get added by default. You may not need them all. Loop Multiple Arrays in C# – Short way - Let us see a trick to loop multiple arrays in C#. Windows Azure Free Training Videos - If you have been looking out to get some free training on windows azure, then this post is for you. The Windows Azure Jump Start video series is for all architects and developers interested in designing, developing and delivering cloud-based applications leveraging the Windows Azure Platform. PHP with IIS7 and SQL Server 2008 – Free Training Kit - Microsoft has released a free training kit that shows how to build PHP applications using Windows, IIS 7.5 and SQL Server 2008 R2.